For the past six months, late at night, Virginia Shih has heard voices. Just one voice, actually: a calming, friendly one that will help her power through the night. 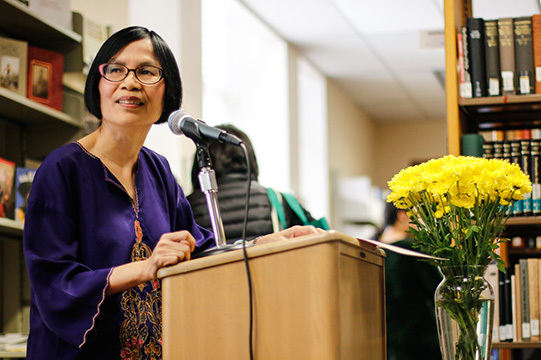 Shih is the campus’s Southeast Asia librarian, and the voice she hears is that of Jeffrey Hadler — a historian of Southeast Asia and beloved campus professor who died after a short battle with cancer early last year. 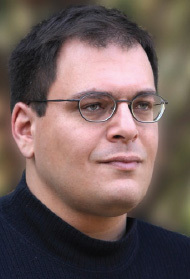 Jeffrey Hadler was praised for the care and attention he showed to students. Among colleagues, Hadler was well-known for his intense, exhaustive scholarship and the encyclopedic knowledge he held, both in mind and in physical materials. Hadler was an expert on Indonesia, especially West Sumatra, and had spent his life collecting the most obscure texts on the region. In August of last year, Shih received some news: Hadler’s widow, Kumi, would donate her husband’s entire research collection to the South/Southeast Asia Library — a collection comprising nearly 4,000 items, including books, journals, maps, posters, comics, art, and photography, covering topics ranging from the religious and political history of Southeast Asia to Indonesian art and literature. It was an incredible gift and, for the librarian responsible for turning each stone over one by one, an incredible — and monumental — job. And she did it. While there’s still work ahead — lots of cataloging, binding, and preservation, made possible by an endowment gift from Hadler’s parents and others — the collection has been entirely sifted through, and an exhibit is now on display in the South/Southeast Asia Library within Doe Library. Shih said that she feels particularly close to the collection, and that, through the family’s gift, Hadler’s legacy lives on. Now, as Shih decides what to purchase for the collection with the gift, she’ll inevitably hear that familiar voice guiding her again. “I’ve received so many gifts, but I didn’t work with those people directly — this person was my classmate, my mentor, my colleague,” she said. “He played so many roles in my life. We were not just faculty member and librarian. We were also friends. 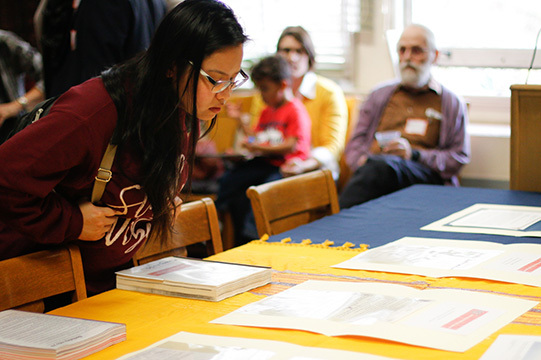 Top to bottom: Clockwise from left: Dr. Nortin Hadler, father of Jeffrey Hadler, speaks about his son; visitors view the documents on display; Virginia Shih, South/Southeast Asia librarian, also gave remarks. On a recent Friday evening, the South/Southeast Asia Library hosted a special event to commemorate the collection and honor Hadler’s memory. Nearly 100 of Hadler’s colleagues, friends, family members, and students wound through the intimate space, with some guests standing behind bookshelves, peeking through to watch the proceedings. 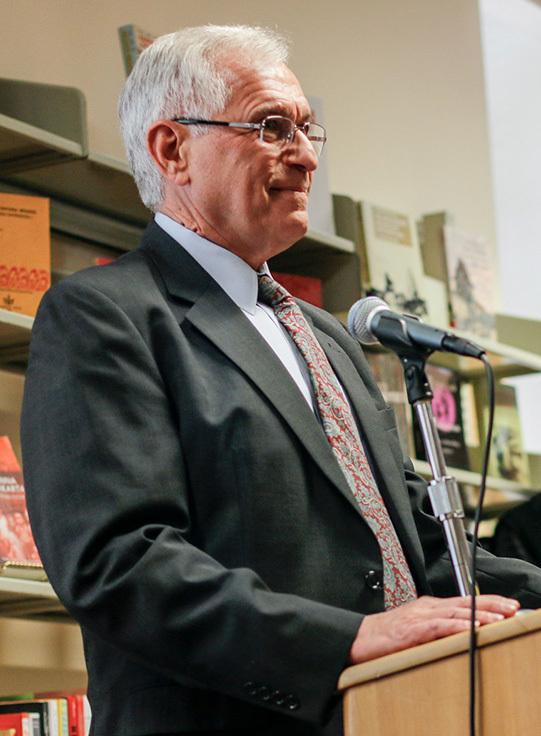 At the event, a long lineup of speakers — including Jeffrey MacKie-Mason, the university librarian, and Hanggiro Setiabudi, acting consul general of Indonesia in San Francisco — squeezed in their remarks, sharing anecdotes about Hadler and heartfelt accolades on his character as both a scholar and professor. Guests commented on the uniqueness of the collection and Hadler’s unparalleled vision for how vastly different kinds of material could come together to tell a story. Penny novels and popular literature from Indonesia in the 1930s and 1940s, for example, gave Hadler unique insight into the social history of the time — and he collected them obsessively, Shih said. It’s idiosyncratic items such as those that make the new collection so valuable to the Library and future scholars, Shih said. Speakers also praised Hadler for the care and attention he showed to students — particularly undergraduates. Each year, Hadler taught a lower division course involving a long-term research project, and spent many hours guiding them through the process. He would often bring students to the South/Southeast Asia Library and introduce them to Shih, to make sure students could navigate the resources available. Around the room, quiet sniffles scattered here and there throughout the reception. But much more than mournful or maudlin, the space was cheerful and celebratory. 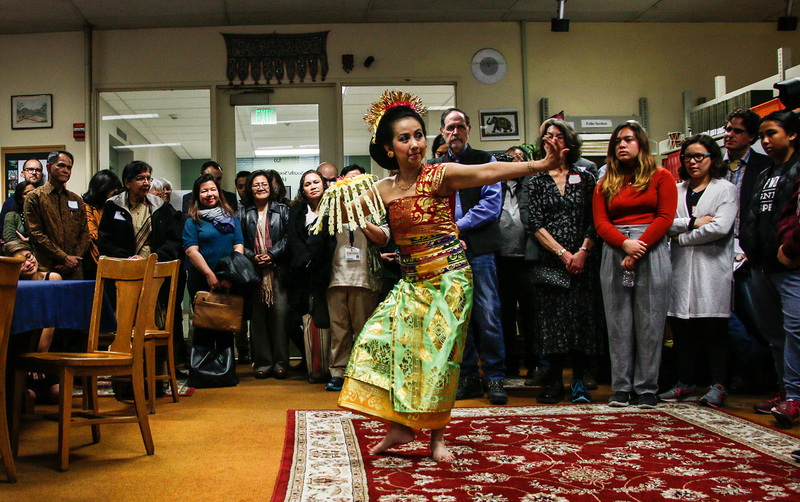 Ninik Lunde, a lecturer in the Department of South & Southeast Asian Studies — and Hadler’s first Indonesian language instructor — performed a traditional Balinese dance for guests, strewing colorful petals around the room. The event also offered visitors a glimpse of the collection, and onlookers gawked at the floor-to-ceiling shelves full of books from Hadler’s personal library. At the lectern, Munis D. Faruqui, a professor in the campus’s Department of South & Southeast Asian Studies, poked fun at his old friend’s bookish zeal. For Hadler, trips to the campus’s Main Stacks were a sort of pilgrimage, Faruqui said, during which Hadler would triumphantly browse for new treasures. “I wish that I had gone with him,” he said. Hadler wrote eloquently on several subjects, including Indonesia during the rule of Muhammad Suharto — an army general who led an anti-communist purge in Indonesia after the country declared independence from the Netherlands — and overlaps between anti-Semitism and anti-Chinese sentiments before and after Dutch colonial rule (largely dismantled during Japanese occupation). Hadler had first visited Indonesia as a junior in high school, when he spent a summer in Jakarta — and he remained spellbound ever since. He would return over and over throughout his life, spending days in the national libraries of Jakarta, university libraries of Java, and village libraries of West Sumatra. During his travels, Hadler would visit every local bookstore he could find, Kumi Hadler said in an email, and would routinely strike up rich debate with religious leaders, artists, store owners, and taxi drivers alike. “It is also my hidden wish that one day when our two Berkeley-born daughters … become adults, they will revisit the (South/Southeast Asia) Library and learn about their daddy who had an incredible life, and who touched many people’s lives,” she said.